Managing the complex big data streams generated by relocation expense management has created an increased awareness of global risk, both perceived and real. We alleviate this risk by using a single, integrated global mobility data stream to collect, track, report and pay, all your international expenditure. This single data stream gives you the peace of mind that the values you report for financial compensation have been directly reconciled with actual expenditure. Similarly, you can be confident all costs have been allocated to the right cost centre before being paid. Our purpose-designed interface allows assignees to easily and accurately upload expense data, with supporting receipts and other documentation. They can also choose to be reimbursed in the currency, country and bank account best suiting their needs. We put assignees at the heart of our system, which generates up to date reporting in the utmost detail, and with great accuracy. Our system is flexible, allowing for both scheduled reports and ad-hoc special reporting such as vendor reviews or KPI analysis. Through our web portal we can provide access to the iReports suite. 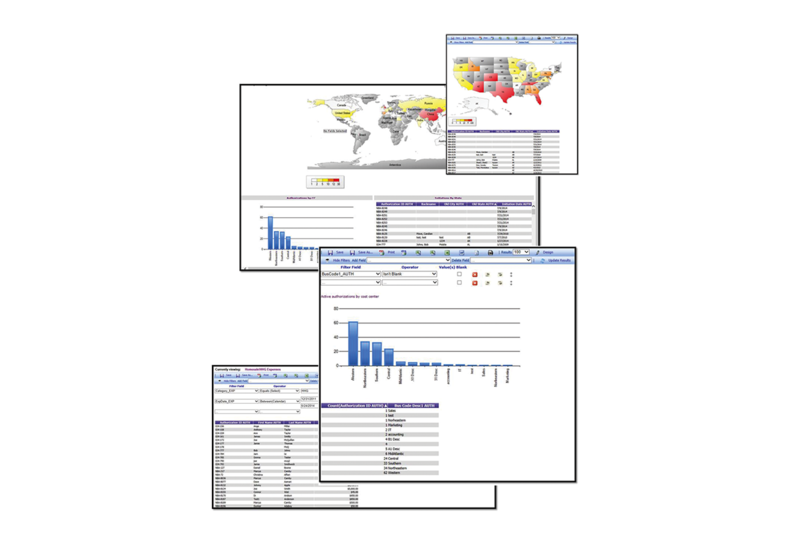 This tool allows authorised administrators to prepare and run global mobility expense data reports and charts at any time. The iReports suite can be customised to suit the individual client requirements. It also has a powerful dashboard function that provides an instant overview of the assignee population. We custom-build a suite of standard reports to handle the main reporting requirements including: cost centre recharging, funding and reconciliation, international payroll data, tax data and management information. We can also produce custom data feeds to accounting systems and other analytic tools in CSV, fixed-width ASCII and XML.